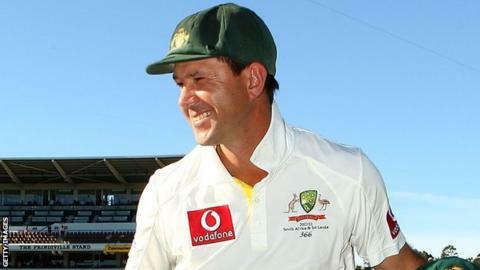 Former Australia captain Ricky Ponting has signed a two-month deal to play for Surrey in June and July. The 38-year-old will be available for all formats, including the FL t20, and will cover for skipper Graeme Smith while he is on duty with South Africa. "To have Ricky Ponting and Graeme Smith, two of the biggest names of the game, playing in our domestic competitions should give everyone associated with the county game a huge lift." Ponting retired from international cricket in December as the second-highest run scorer in Test history. "I'm exceptionally excited to come to such a proud and traditional club as Surrey," he told BBC London 94.9. "I've only had the opportunity to play county cricket once before and it was a short little stint that I had at Somerset [in 2004]. "I always said after that I'd love to come back and play some more county cricket and I'm thankful Surrey have given me the opportunity." Ponting has continued to play at domestic level for Tasmania since retiring from international cricket, hitting an unbeaten 200 in a recent Sheffield Shield match. England batsman Kevin Pietersen: "Smith and now Ponting, joining us at Surrey this season. Wowza!! Hope I get to bat with both of them. #fireworks." Wicketkeeper Steven Davies: "Smith, Ponting, who's next..... Unbelievable." Bowler Stuart Meaker: "Ridiculous thought that this county season I'm going to be playing with two of the game's greats, Graeme Smith and Ricky Ponting." He scored 13,378 runs at an average of 51.85 in a 168-Test career that began in 1995, during which time he was widely regarded as one of the best batsmen in the world. Ponting also played 375 one-day internationals, leading Australia to victory at the 2003 and 2007 World Cups, and 17 Twenty20 matches. "I probably have a few bad memories of the Oval from Ashes series gone by in the past but hopefully I will be able to walk away with a few memories," the Australian added. "Hopefully I can have an impact on the way Surrey play their cricket. "I will be dedicated to doing my best for Surrey, score as many runs as I can and win as many games as I can." Surrey team director Chris Adams said he was "thrilled and excited" by the signing, describing Ponting as a "world-class" performer. "When you get somebody of his stature and nature in the game it raises everybody's excitement levels," Adams told BBC London 94.9. "He will bring great leadership qualities and we hope there are world-class runs that flow from his bat while he is with us but he will also have his part to play off the field." Ponting will bolster the Surrey squad while Smith is away at the ICC Champions Trophy in June. "I know Ricky's agent and it was a straight question really. It very quickly became a positive response from Australia and has been quite a seamless process," said Adams. "We are very fortunate we have been able to capture two wonderful cricketers. "Graeme is a captain who will take the club and the team forward and to have him and Ricky together will be absolutely magic." No decision has yet been taken on whether Ponting will also skipper the side during Smith's absence. Ponting will lead the Mumbai Indians in this year's Indian Premier League, but Adams plans to consult Smith on the matter of whether he should do the same job for Surrey. "Graeme is a big fan, has great respect and certainly endorsed the ethos to try and get Ricky signed up," Adams added. "It's for him to identify within the squad who he sees as being the natural leaders and captain material to follow him. "If he feels strongly that Ricky should take the reins when he is away then we will deal with that. "It's not something I have discussed with Ricky or his agent yet. If and when the time is right we will certainly have that conversation."